This page will clearly explain the Fine Print / Legal Stuff that applies to your visit to and use of Military-Money-Matters.com. Many companies bury this information and/or print it in such small type that you need a magnifying glass to read it. We don't believe in that. We're proud of the way we operate our business, so we're not afraid for you to know about it. We think that when you understand how we operate, you'll be even more impressed. Military-Money-Matters.com may accept forms of cash advertising, sponsorship, paid insertions or other forms of compensation, including commissions from sales of products mentioned or advertised on this site or products provided to us for free in order for us to evaluate them and provide you with our personal review. This helps us make the useful information we publish here totally free to you. Military-Money-Matters.com is a participant in the Amazon Services LLC Associates Program, an affiliate advertising program designed to provide a means for sites to earn advertising fees by advertising and linking to amazon.com. We also participate in other affiliate advertising programs to recommend products to you that have been created by others. We're very independent and not easily influenced (some call it stubborn), and we strive to operate our business with the utmost integrity, so just because someone provided us with a product or sponsorship doesn't guarantee they will receive a glowing review. We'll give your our honest opinion, regardless of whether we receive compensation for our review. If we don't think it measures up, we'll say so. The views and opinions expressed on this site represent our own personal opinions. We strive to provide you with accurate information, but any product claim, statistic, quote or other representation about a product or service should be verified with the manufacturer, provider or party in question. Because of constant changes, we cannot be held responsible for such information. You are responsible for verifying its accuracy. You can be certain that any recommendation you will find here is made because we believe it is a product or service that is a good value for the investment, that it presents valuable and useful information or services, and/or that it will genuinely help you in your quest to improve your family's financial future. For the most part, our recommendations are based on personal knowledge and research. Some of our recommendations may be based on recommendations from people we know and trust. We may make a small commission or referral fee on some of these. Others we receive nothing from, other than the satisfaction of knowing we've passed along valuable information to you. Maintaining your trust in us and providing you with valuable information is far more important to us than "making a fast buck." We're mindful that your budget is tight, and you can't afford to waste money on products that offer little to no value. We've turned down opportunities to sell advertising to companies that did not meet our recommendation criteria, and even refused to exchange links with them, and we will continue to do so. We're very protective of our military families, and will try to help you avoid being "taken" by some unscrupulous company. So we won't recommend products we know nothing about, just to make a few bucks. We will only recommend products that we are confident will deliver value for your money, regardless of whether we get paid a commission. If you are interested in advertising on this site, or helping to sponsor this site so we can continue to provide free information to assist our military families reach their goal of financial freedom, please contact us. Information presented on this site is provided for educational purposes only. Nothing here should be construed as legal or investment advice. Although we strive to present accurate information, it is entirely possible that information may change after our date of publication. 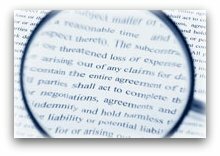 We make no representations or warranties of any kind with regard to the accuracy of the information presented, nor the applicability of any of the topics discussed to your particular situation.